The Supreme Court of Canada has allowed 11 groups (some of which will appear jointly, making 9 applications) to intervene in the “Wall case.” This case will be heard in Ottawa on November 2. It has attracted a lot of attention among religious communities because it deals with the rights and consequences of removing members who have violated the teachings and practices of the faith group. Mr. Randy Wall was a member of the Highwood Congregation of Jehovah’s Witnesses in Alberta, Canada. He was dismissed by the Congregation because of his failure to live up to its teachings. Given that the community shuns those who leave the faith and the fact that, as a real estate agent, Mr. Wall lost his JW clients, the result was a financial loss. He applied to court for a judicial review of the church’s decision with the intent of seeking compensation for his alleged mistreatment by the church. 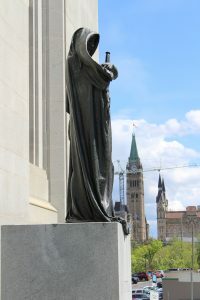 Justice Wilson of the Court of Queen’s Bench of Alberta ruled that the Court had jurisdiction to hear Mr. Wall’s application for judicial review. 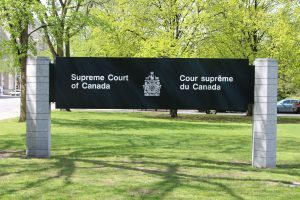 The church lost its appeal at the Alberta Court of Appeal (ABCA) and has now appealed to the Supreme Court of Canada. The ABCA decision raised serious questions about the extent to which civil courts can interfere in the decisions of religious communities. Traditionally, courts have been loath to get involved in church disputes. The thinking has been that courts have no expertise in the theological matters related to church discipline. It is generally understood that a law court is incompetent to deal with religious disputes. The ABCA’s view that a church could be sued for the economic loss a member incurs because of expulsion is new legal ground and, if upheld by the SCC, it will endanger religious freedom. Membership in a religious community is voluntary. No one is forced to stay. If a person limits his business to only those within a religious community and subsequently finds that none of his former co-congregants will do business with him, that is not the congregation’s responsibility. He took that risk himself when he so limited his business. Membership in a religious community is a privilege, not a right. Allowing courts the jurisdiction to hear these cases will entangle courts unnecessarily in the internal affairs of religion. Private bodies are not and should not be subject to the norms and obligations of public ​state ​bodies​, simply because those private bodies are granted regulatory recognition, such as charitable registration. The blurring ​of the lines ​between public and private bodies ​will result in the wrongful imposition of public obligations on private bodies. Churches, for example, consist of a specifically defined congregation that has come together voluntarily for a specific purpose involving religious belief and practice. No public authority is tasked with religious teaching or ensuring that congregants follow appropriate religious norms. The freedom of citizens to associate in private organizations is a hallmark of a free and democratic society. Public recognition of a private organization that exists for the public benefit does not make it public. Civil courts lack the competence to adjudicate religious matters. Civil courts should, therefore, refrain from assessing and adjudicating religious decisions and disputes, processes, and standards informed by or regarding inter alia, theology, liturgy, ecclesiology, ​​hamartiology, and hermeneutics which are outside of their expertise. Competence sufficient to decide religious matters, such as membership, requires a comprehensive understanding of, in addition to the topics already listed, the history and social realities of the religious community at issue. Interference with religious matters unduly encroaches upon a religious community’s ability to carry out its theological, spiritual, and, in many cases, charitable endeavours. Civil courts should, therefore, ​exercise​ restraint in matters ​in which they lack skill, training, and experience. Courts should respect a religious community’s ability to decide for itself matters of a spiritual and religious nature. The interveners have been given 5 minutes to make their oral argument on November 2 and the right to file a legal brief outlining their arguments.